A simple maths board game ideal to practice basic arithmetic. 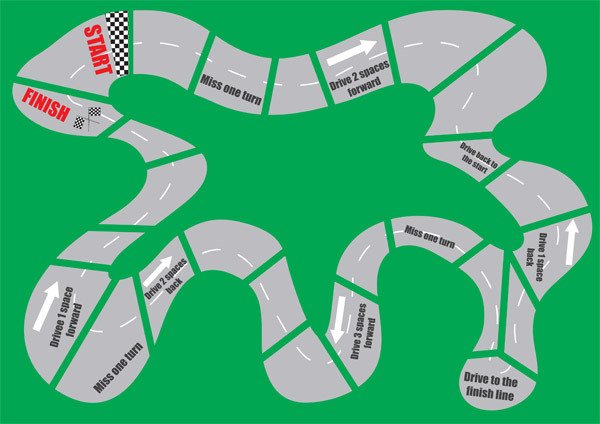 The aim of the game is to move your racing car around the track as quickly as possible. The winner is the person who gets to the finish line first. Includes an A4 version as well as a larger version made up of several A4 pages which can be printed out and reassembled. Also includes a dice template and some racing car counters. Vehicle themed alphabet puzzles – upper case & lower case.